Hey, look, there is a sticker on your book! 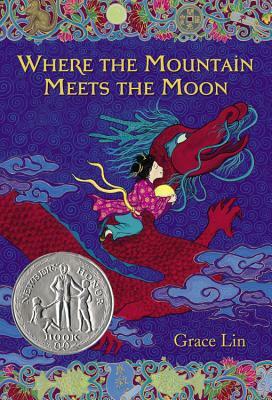 That means Where the Mountain Meets the Moon won the Newbery Honor! Yes, remember the phone call? Kind of. It's a blur. All those e-mails? Your friends screaming? The flowers? Remember? Wait, that was for real? 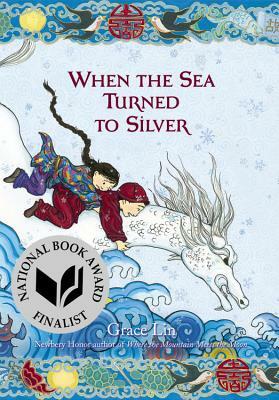 Because even now I still have a hard time believing that my book won an award. I find it a bit easier when I think of it as my book was "given" an award. Because then it is more like a gift. Which it is. and even though I knew they were going to toast me I was surprised. I almost looked around, behind me, to see who they were clapping for! In the end, I went with the books (hard decision though) and went for a group photo with them. 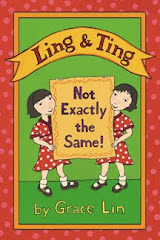 Because my book won the Newbery Honor. Really. It did. I think.